Are Binoculars or a Telescope Better For Astronomy? Home → Astronomy Binoculars → Are Binoculars or a Telescope Better For Astronomy? Stargazing or planet watching are popular past times of many people around the world. 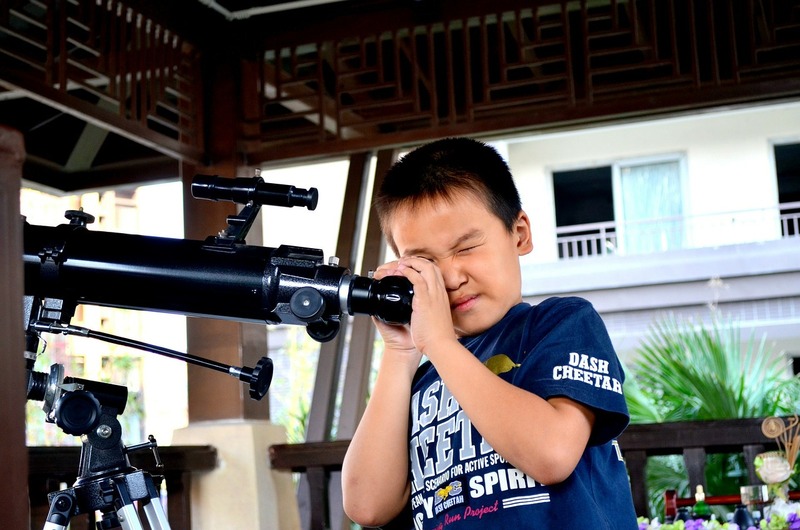 Whether you are gifting a telescope or binoculars to someone who loves astronomy or wanting to invest in one for your star gazing, it is important to know the difference between the two and the pros and cons of each. So, what is best? Astronomy binoculars or a telescope. Telescopes are a great, professional tool for star and planet gazing. While they can cost several hundred dollars compared to binoculars. Telescopes with high magnification provide a crisp and clear view of the solar system from one’s backyard. However, low magnification telescopes should not be overlooked because they provide a very clear observation of faint objects. If you are gifting a telescope to someone elderly or to a child, then ensure the telescope you are looking for is not too heavy or hard to carry around. This is where binoculars may be a better option, as they are light and compact to carry with anywhere. Binoculars are a convenient way to star gaze as they are small and easy to set up. It is suggested by experts, that people wishing to start out in astronomy start with binoculars as they are less complex to use. Plus, if you decide after using binoculars that you do not enjoy astronomy, then you have not invested in an expensive telescope. If you have decided to purchase binoculars, look for a pair with a 10×50 magnification for the best viewing. Kids will benefit from a lightweight pair of binoculars that are not overly heavy in their small hands; a larger aperture and high magnification is not always the way to go. 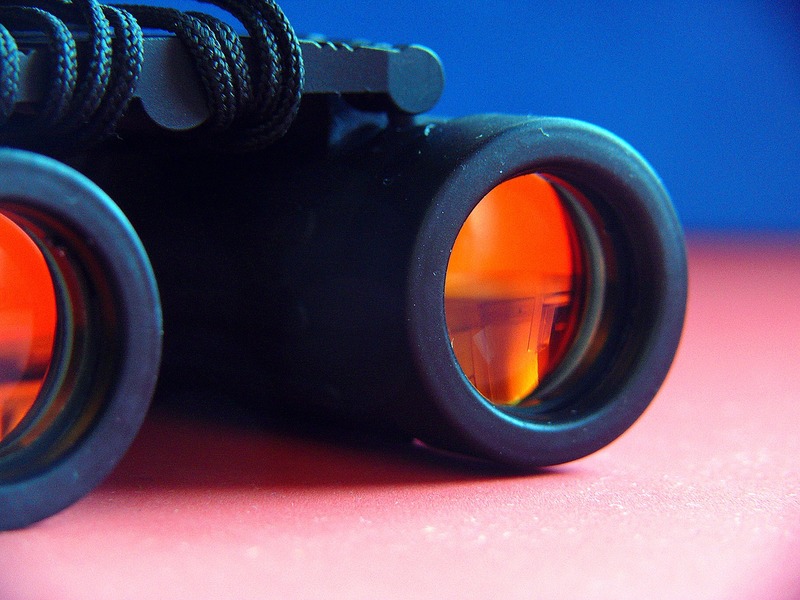 When it comes down to it, binoculars have proven to be great for observing objects in the sky, on land, or water. Objects such as birds, whales, or even bears. Unfortunately, they have shown not to be comparable to a telescope’s ability to sky watch. Telescopes are perfect for trying to see the Milky Way or Saturn, no matter if you are using a refractor, reflector, or Cassegrain telescope. However, for those who have binoculars, they are good for viewing many celestial objects. Ultimately, binoculars are easy to use by people of any age. They do not need any maintenance to keep them running and can offer a large view of the night sky quickly and affordably. If you are debating whether to buy someone who is younger or a newbie a gift, binoculars may be your best choice. Sometimes telescopes can be intimidating or frustrating to learn how to use, so trying out binoculars first can eliminate any of these feelings. The only downside that you need to be aware of with binoculars is that they do not offer a very detailed view of celestials, and are not designed to work well in low lighting. The reason why telescopes seem to take the cake for astronomical viewing is the larger aperture and higher magnification that allows them to see objects in low light; their whole design is meant for astronomical watching. While binoculars may be able to show you parts of the galaxy, it is hard for them to compete with an advanced telescope. Binoculars are ideal for hikers, boaters, animal watchers, and even campers; the light weight of them is what makes them a popular choice for those not wishing to carry a heavy telescope around. What Kind of Telescope is Best? Any professional, large aperture and high magnification telescope should be good. If you are trying to select between two different models, it may be a good idea to ask someone who specializes in selling or using telescopes so you can find the perfect one for your needs. Telescopes are mini investments, but the beauty they bring you through the lens is priceless. Keep in mind that the best way to use your telescope (or binoculars!) is learning the best magnification to use it at; find objects at a lower magnification and then zoom in with a higher magnification. You now should feel more confident in your decision to buy either a pair of binoculars or a telescope. Binoculars are a great way to start, but ultimately, if you or the person you are gifting them to enjoy sky watching, then upgrading to a telescope is best. If you have decided to buy a telescope instead of binoculars, then carefully shop around before investing. There are different features that you or may not want on your telescope, so shop prepared and ask a lot of questions. Skywatching is a popular past time that allows us to explore the world above us. Therefore, we should use the right equipment so that we can enjoy all the beauty that lives in space.